Have you seen Christopher speak? Leave a review. Though Christopher Kennedy Lawford spent 20 years in the film and television industries as an actor, lawyer, executive, and producer, his biggest challenge was his 10-year-struggle against addiction. During his journey, he realized that conventional approaches to treating drug abuse simply provided little understanding of the true nature of addiction and how to enhance recovery. In rethinking his own rehabilitation, he was able to transform his mindset and life, and today campaigns tirelessly on behalf of the recovery community in both the public and private sectors. Mr. Lawford currently works with the United Nations, the Canadian Center on Substance Abuse, the White House Office on Drug Control Policy, and the World Health Organization. 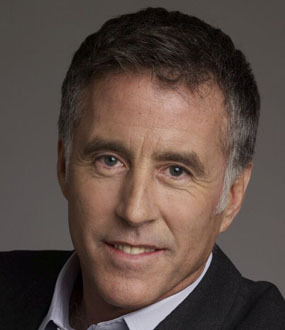 Additionally, he consults with Fortune 500 companies and numerous non-profit groups, speaking around the world on issues related to addiction, mental health, and hepatitis C.
Mr. Lawford is the author of three New York Times bestsellers that put addiction in a new light while offering practical solutions to recovering addicts and their loved ones. He aims to effect change and raise global awareness of addiction in nonprofit, private, and government circles through both his writing and speaking. 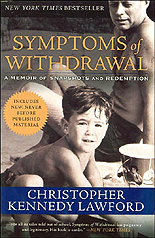 In his 2005 New York Times bestselling memoir, Symptoms of Withdrawal, Christopher Kennedy Lawford chronicled his deep descent into near-fatal drug and alcohol addiction, and his subsequent hard-won journey back to sobriety, which he has maintained for the past 24 years with the hopes of making a difference. 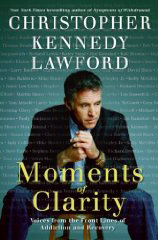 The overwhelming response received to his book impressed upon Lawford the number of people struggling to find their own way back from addiction and the need to share their stories, which led to the development of Moment of Clarity: Voices From the Front Lines of Addiction and Recovery. In 2009, The New York Times bestseller Moments of Clarity was released which illuminates the spiritual epiphanies that occur in 44 people’s lives enabling them to move from addiction to recovery and the A-ha moments that got them there. Mr. Lawford has a novel in the works focusing on the relationship between men and women. Christopher Kennedy Lawford has spent much of his life in Hollywood and Washington, navigating these two worlds as an actor, writer, lawyer, activist and public speaker. However, before his successes, Lawford battled a drug and alcohol addiction for much of his early life. In recovery for more than 24 years, he shares his experience, strength and hope to make a difference in people’s lives. As a result of his drug addiction, Mr. Lawford was diagnosed with hepatitis C in 2000. He was successfully treated and is now virus free. For the past five years he has worked with a number of partners in private industry, the non-profit sector, state and federal governments and patient advocacy groups to effect change and raise awareness about these two pressing public health issues. Presently Mr. Lawford is working with the United Nations, the Canadian Center on Substance Abuse, and the World Health Organization in efforts to raise awareness globally about addiction and hepatitis. Mr. Lawford has extensive experience in the non-profit sector working with a variety of organizations including: Caron Treatment Centers, California Hepatitis Alliance, The Joseph P. Kennedy Jr. Foundation, Special Olympics, The Center on Addiction and Substance Abuse at Columbia University, and was recently appointed by Governor Arnold Schwarzenegger to the California Public Health Advisory Committee. Mr. Lawford spends much of his time speaking globally in support of these issues. 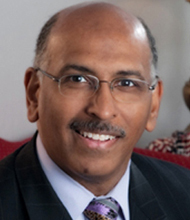 His political resume includes executive staff positions with The Democratic National Committee, The Community Action for Legal Services Agency and in the Washington office of Senator Edward M. Kennedy. He has also held staff positions on numerous national, state and local political campaigns. Mr. Lawford spent over fifteen years in the film and television business as an actor, lawyer, executive, and producer. He began his career in Universal Studios’ Independent Film Acquisitions where he was responsible for the acquisition of American Graffiti, one of the highest grossing films of the early 70’s. As an independent producer Mr. Lawford arranged financing for and produced films including Kiss Me Guido & Drunks, both films were selections in the Sundance Film Festival. Mr. Lawford’s acting credits include Eavesdrop, Slipstream, The World’s Fastest Indian, Terminator 3, Blankman, The Doors, The Russia House, and many others. 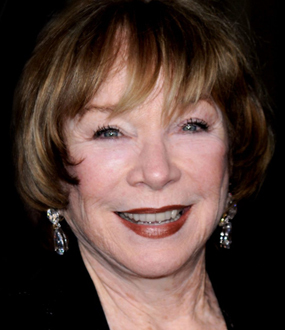 His credits also include a three-year tenure on the popular soap opera All My Children. Christopher Kennedy Lawford shares several little known facts about addiction that he never learned until he found his own life spinning out of control due to substance abuse. Still stigmatized and rampantly misunderstood, addiction is classified as a brain disorder along with other mental illnesses and over 34 million addicts go untreated each year. Cases in the U.S. alone cost the country $600 billion per year. 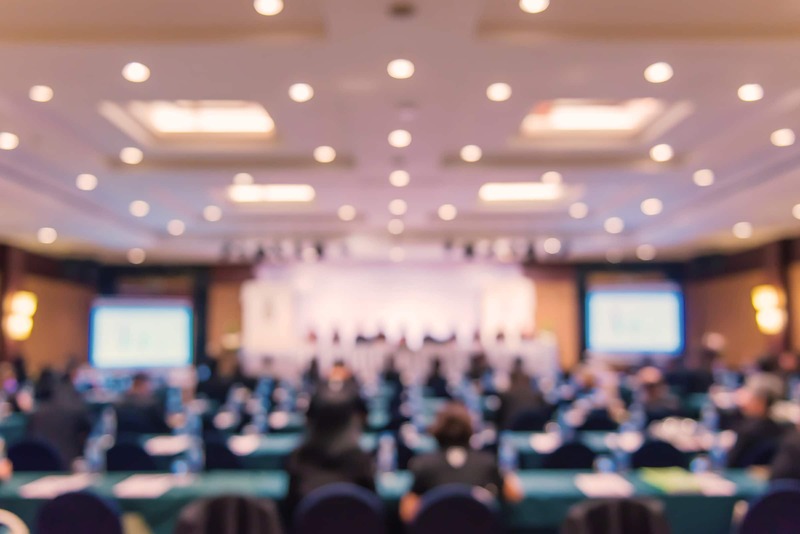 Christopher Kennedy Lawford uses his personal experience and the latest research to speak honestly about the nature of addiction and overcoming the obstacles to recovery. 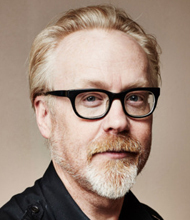 He challenges conventional thoughts on substance abuse and treatment, noting that Recovery is not just about staying away from a drink, drug or behavior a day at a time but is also about restoring and enhancing the lives of those affected as well as the lives of those around them while working through their own character flaws. 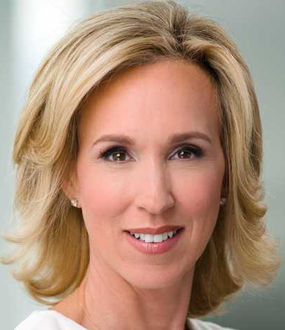 With a compelling mix of personal experience and hard-earned humility, Lawford utilized his real-life experiences to focus on a number of topics, illuminating the disease of addiction, the protocol for treatment, and the path to self-discovery, personal growth. "I Stopped Using, Now What?" It is estimated that over 4 million Americans and approximately 170 million persons worldwide have been exposed to Hepatitis C, and that the majority are unaware of their exposure. Chris Lawford, was one of these Americans unknowingly contracting the Hepatitis C virus during his years of drug use and had been sober for 14 years when he was diagnosed and successfully treated in 2001. As a National spokesperson for the Hepatitis C Public Awareness Campaign, Lawford walks his audience through the process of facing the diagnosis and treatment head-on, showing them that "It is possible to get through this Hepatitis C thing—to be cured of it—without surrendering your life to it." Lawford provides a poignant and raw reflection on the universal struggle to make sense of the world and one’s place in it while illuminating the human journey and looking to make sense of our individual and unique place. Lawford said in his bestselling memoir Symptoms of Withdrawal "The key to real happiness is recognizing that all of us are pretty much the same. The human hardwiring isn’t really that different from person to person. What’s different are our individual circumstances. Our challenge is to those reconcile circumstances with our common humanity." Symptoms of Withdrawal is apoignantly honest portrayal of Lawford’s life as a Kennedy, a journey overflowing with hilarious insider anecdotes, heartbreaking accounts of Lawford’s addictions to narcotics as well as to celebrity and, ultimately, the redemption he found by asserting his own independence. In this groundbreakingly courageous and exceptionally well-written memoir, Lawford steps forward to rise above the buried pain that first led to his addiction, and today lives mindfully by his time-tested mantra: “We are only as sick as the secrets we keep.” Symptoms of Withdrawal keeps no secrets and is a compelling testament to the power of truth. On February 17, 1986, after years of addiction and self-destruction, Christopher Kennedy Lawford reached a turning point in his life, one that would mark the beginning of his long road to recovery. In his New York Times bestselling memoir, Symptoms of Withdrawal, he chronicled his deep descent into near-fatal drug and alcohol addiction, and his subsequent hard-won journey back to sobriety, which he has maintained for more than twenty years. The Before and the After. But before and after what? What happened at that point in time to trigger the understanding within himself that he had to change? What finally forces any person to choose life over death? The overwhelming response he received to his book impressed upon Lawford the number of people struggling to find their own way back from addiction and the need to share their stories. There was no easy way out for any of them. They all had to go through a moment of humility, vulnerability, and transformation and choose to take that first step of the journey. And each had their own intensely personal moment that signaled a Before and an After. The histories gathered here are the recollections of lives snatched back from the brink of a precipice so wide and deep it threatened to engulf them. Every segment of society has been touched by addiction and its aftermath. Moments of Clarity collects stories from men and women, young and old, and across all barriers of celebrity, color, and class. Represented in these pages are the singer and the actress, the writer and the anchorman, the man from the movie screen and the woman who lives down the street. A myriad of different moments but all with the common understanding of where these men and women have been and where they must go. As they bravely share their stories, they shed light not only on their own experiences but also on the journey we all take as human beings, looking to make sense of our world.